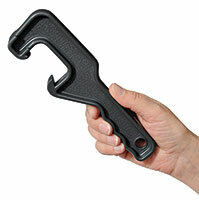 Item Number: 358-60B 18085 Actual Weight: 2 lbs. Made from high density polyethylene, these pails are ideal for everyday cleaning applications and a variety of other light-duty uses. Economy pails have a metal swing handle and tapered design for stacking. 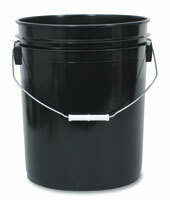 Choose from black or white lightweight pails.